Elegant Text Editor is a simple, fancy, easy to use text editor. 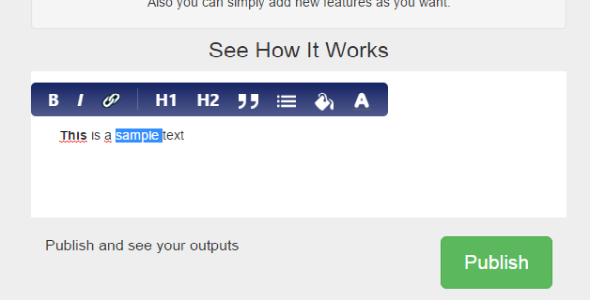 Even it looks like just a regular input control, once you make a text selection you will see many html attributes to apply. Once you explore copy-paste features , you will start to enjoy it more. Also you can simply add new features as you want.